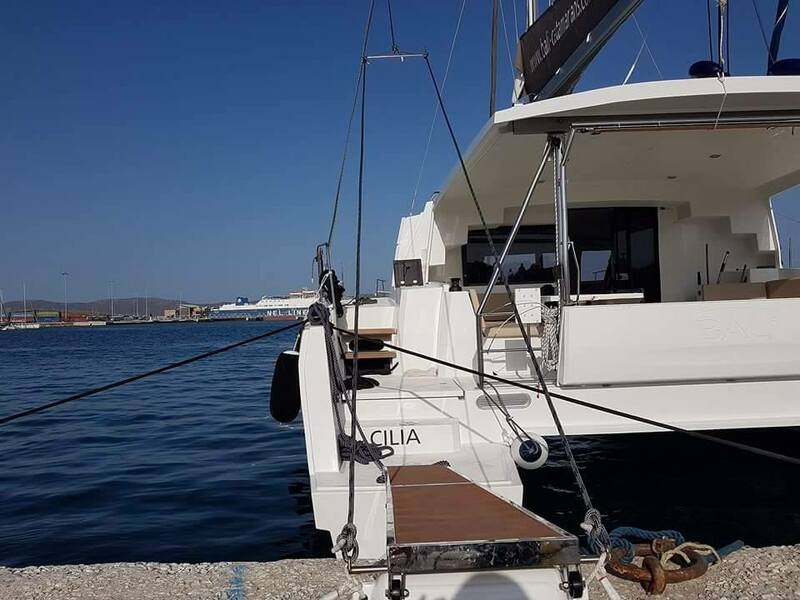 Cilia is a new comfortable catamaran for a family or a group of friends. You will have a private beach of 20 m2 with a lot of sun, but be cool with ice for juices and cocktails thanks to a modern refrigerator and ice maker. Model Bali 4.5 is the lightest in its class - and, therefore, the most maneuverable. 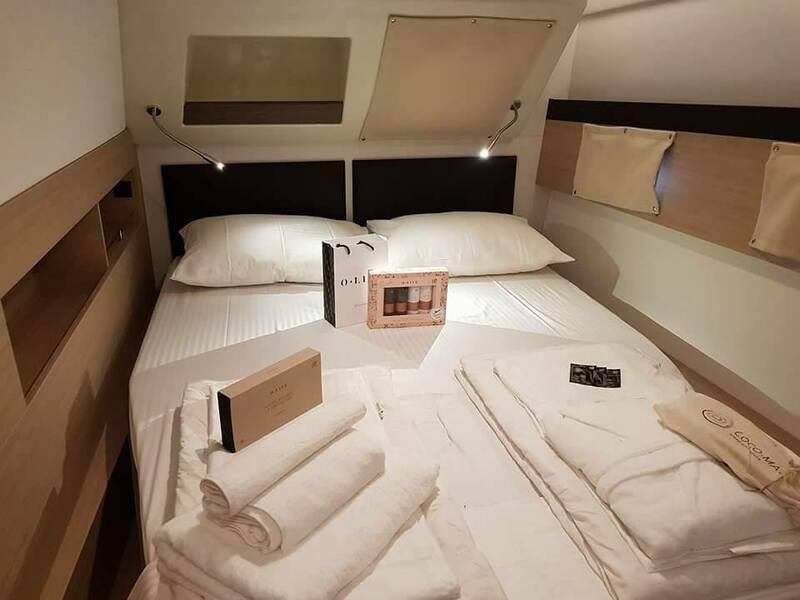 All our catamarans have service like in a 5 * hotel. In addition to branded linen sets, for each guest we prepared a set of natural Greek cosmetics with olive oil.